This static page allows you to change the owner of stories, links, events & comments. Easy selection from dropdowns. Suggestions & Critics welcome. Installation: Paste the code 1:1 into a static page, call it "changeowner" and enable it for PHP (return). Make sure only root can access it! Block that displays a quote/fortune using "traditional" fortune data files. This archive contains the 4 Chinese language sets: Chinese Tranditional (UTF-8), Chinese Simplified (UTF-8), Chinese Traditional (Big5), and Chinese Simplified (GB2312). A simple hack to allow single or double columns on your index page. Set a single variable in your config.php, add three template files to your theme, and replace your index.php. Remember to keep your old index.php around just in case!!! The index.php included is from 1.3.10rc2, which has not been tried with 1.3.9 series. New text translated, some old text cosmetic changes. This is the complete pack of languages (28), all transformed to UTF-8. Those that were already in UTF-8 are included but untouched, the rest converted. Non-UTF-8 are NOT in this package! 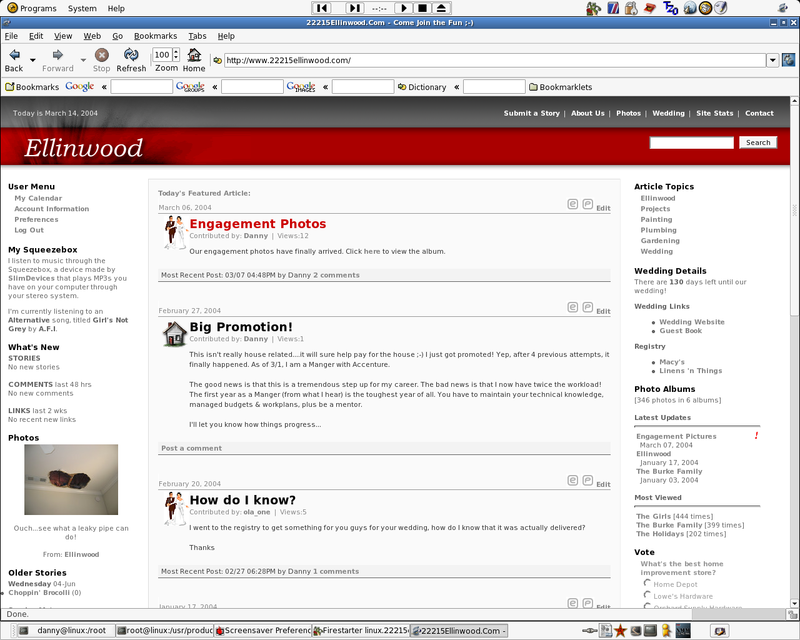 Tested on versions 2.3 and 2.3.1, translation is visible online at the Testa di Pinguino website, specified as Home Page. A simple script to reset Geeklog's stats, i.e. the hit and email counters. This add-on allows to publish a story by sending a mail in plain text to a special mailbox. 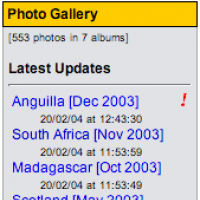 An easy to install block that displays recently updated Gallery albums. This block does not use a cache file. 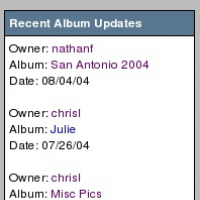 It can limit block output by modification age and/or maximum number of albums to display. 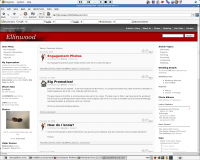 Tested with Geeklog 1.3.9 and Gallery 1.4.4. Norwegian language file for Geeklog. Complete, but only tested with Geeklog 1.3.8-1sr5. If there are new strings in geeklog 1.3.9, they are not included. As always, rthere are room for improvements. Rating system for stories and includes installer. Can be expanded for other systems. I've translated to portuguese (brazilian). I have no idea where to send this file to contribute. Just copy lang.php from tar.gz archive over your original language file located in /path/to/geeklog/plugins/filemgmt/ directory. This is the langue file and the image_set files in Danish for the forum ver. 2.3 RC4. This will kill the title bar on Static Pages. I listen to music through the Squeezebox, a device made by SlimDevices (http://www.slimdevices.com) that plays MP3s (and other supported digital music files) you have on your computer through your stereo system. "SlimServer" is the server software that runs on whatever computer you have handy, that you talk to through a web interface, and streams the music wirelessly to the Squeezebox hardware. SlimServer can also report its current status, including the current song being played, in XML format, which turns out to be useful. An updated language file based on this "The newest release of the danish translation to GeekLog 1.3.7." An alternative to the current user import. Handles the custom_userinfo as well (you need the custom_userimport function). This is a Unicode (UTF-8) version of Japanese translation for Geeklog 1.3.9rc2.